Reputation House » How can Corporate Reputation be Measured? 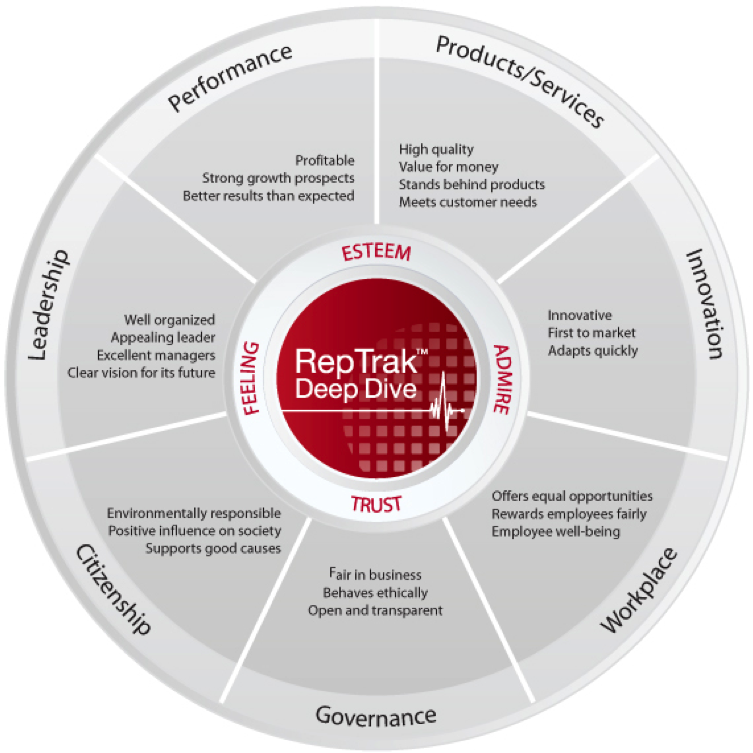 The RepTrak™ Index is Reputation Institute’s proprietary model and can be used measure how attractive organisations are to their key stakeholders. 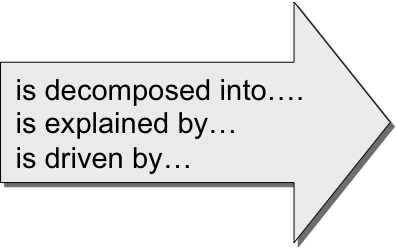 Reputation Institute has been studying the dynamics of Reputation for more than 10 years. Research shows that a well-regarded company is more likely to be liked, trusted, and respected. Reputation is built on 7 pillars from which a company can create a strategic platform for communicating with its stakeholders on the most relevant key performance indicators. The RepTrak™ Index therefore consists of 7 dimensions and 23 customisable attributes that were found from qualitative and quantitative research to best explain the reputation of a company. 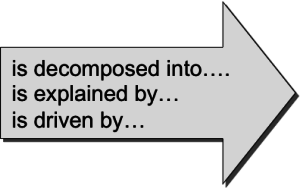 Involves a decomposition of the reputation construct (RepTrak™ Pulse) into dimension and attribute weights that uniquely explain their contributions. 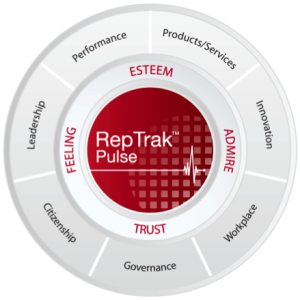 Attribute weights are developed directly from the RepTrak™ Pulse Score thus creating a top-down approach through a factor adjusted regression modeling procedure.